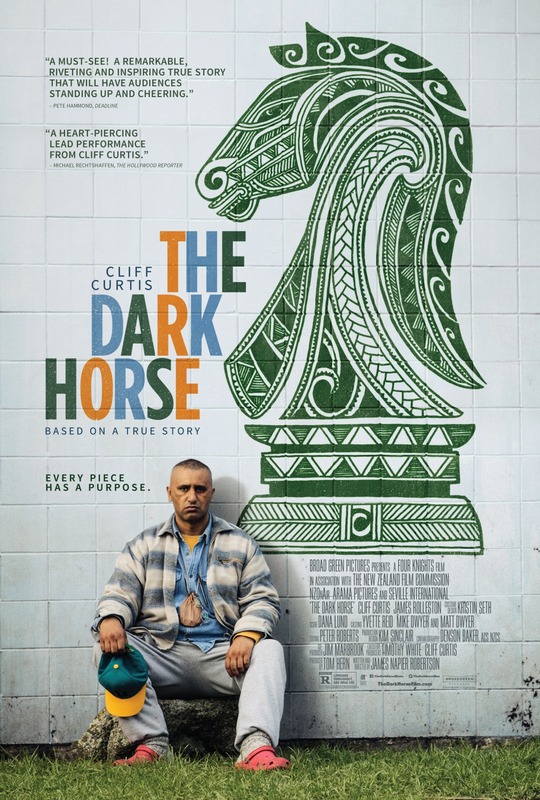 Based upon a powerful true story, The Dark Horse is the uplifting portrait of a man searching for the courage to lead, despite his struggles with mental illness. The film features a stunning, award-winning performance by Cliff Curtis (Whale Rider, Blow, “Fear the Walking Dead”) as Genesis “Gen” Potini, a brilliant but troubled New Zealand chess champion who finds purpose by teaching underprivileged children about the rules of chess and life. After years in and out of mental institutions, Genesis is released into the care of his estranged brother Ariki (Wayne Hapi) and thrust into his volatile gang lifestyle. Seeking to escape this toxic environment, Genesis finds solace by volunteering at the Eastern Knights chess club and sharing his gift with the disadvantaged Maori children of his community. Charismatic and impassioned, Gen encourages the group to train for the upcoming National Chess Championships. But his teaching puts him at odds with his brother when Ariki’s son Mana (James Rolleston) shows an interest in the game – chess is considered a distraction from the teen’s imminent initiation into his father’s gang. Genesis’s conflict with his brother and the violent gang, along with his ongoing battle with his illness, threaten to ruin the hopeful progress Gen has made for himself and the young Eastern Knights. But Genesis’s positivity leads him to always search for light, even when the world seems at its darkest. Dedication: Dedicated to Nopera Kenehi Potini, Genesis’s son. Mauri ora.